Women are most effected by ulcers than men. Stress, anxiety, alcohol, use of pain killer over long periods, heredity, too much spicy food, skip meal especially breakfast and having meal after long break are the main causes of ulcers. 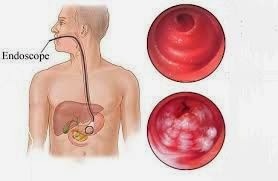 Peptic ulcers are common around the world. In which the germ and stomach acid make wounds in stomachs. After diagnosing ulcer at early stage what can do a patient to reduce burning sensation in abdomen, nausea, severe pains and symptoms related to ulcer? Must consult your medical physician regularly and use these some useful vegetables and fruits to protect your stomach from Ulcer and improve your digestive track. Work as Oniment to the wounds of stomach and strengthen the stomach walls. After diagnosing Ulcer must use it daily. Decrease the stress level too. One of the effective Vegetables to cure for stomach ulcers.Very effective for alcoholic ulcer. Use it in your daily meal. Friendly food, work as healer for wounds and sores stomach. Reduce the stomach inflammation. Use it as salad or cook it with black pepper and salt. Add it must in your weekly menu. The powder of green banana and banana has found good to cure for stomach ulcers. Banana milk shake is very much good effects for stomach ulcer. High in Nutrients and maintain digestive functions. Potassium and calcium in it essential for stomach health. Weekly add 2-3 times in your food. Reflux acids has been develop throughout the year. Treat infections during ulcer. Use it maximum during the season. Excellent to treating stomach gastric ulcer. Strengthen and soothes the stomach walls. Daily eating 100-150 grams papaya found very much positive effects for stomach Ulcer and good for liver diseases. Helps to ease gout symptoms and its juice work as an inhaler. Reduce stomach inflammation. Successfully treat diabetic ulcers. Its antioxidant capacity helps to reduce acids in stomach. Use of Blue Berry juice daily with an empty stomach will cure your stomach for the whole day. Vitamin C in apple and Pineapple juice helps to coat the inflamed portion making for effective relief and cure. Daily eat an apple or 100-150 grams Pineapple slices with an empty stomach. Reduce the gastric symptoms and causes of ulcer. Daily use its juice with an empty stomach found very much effective to treat Ulcer. Great anti-ulcer of stomach.Best for constipation which causes for ulcer. Improve bowl movements including the healing of wounds of ulcers. Must add 4-5 Figs in your daily menu. Gastro scope proves that cabbage juice produces real positive and quick cure. Boil it for 3-4 minutes in a glass of water, filter it and drink it daily 2 times during the whole day. or compress 1 cup fresh cabbage juice and drink it with an empty stomach. Kill bacterias in stomach causes ulcer and remove gastric ulcer infections. Try to eat it after every meal. Slow down the growth of bacterias which leads to ulcers. Has healing effects. Boil it in a cup of water for 2-3 minutes and sip it like tea twice a day.